December is a big month for anniversaries: today remembers a giant of Soviet hockey, later in the month should bring a new KHL record attendance to mark the ‘birthday’ of the game in this country. Elsewhere, an NHL veteran is brushing up on Russian pop music and Minsk tempts another NHLer back to the sport. Next weekend brings the Channel 1 Cup, the latest stage of the Euro Hockey Tour. And this year promises to be a bit special. Russia’s game against Finland on Sunday is due to be played at St. Petersburg’s soccer stadium in front of a crowd of more than 56,000. The venue, which hosted several games in the FIFA World Cup last summer, will be the biggest stadium to host a hockey game since the old Luzhniki Stadium in Moscow drew 57,000 to the 1957 World Championship when the Soviets played Sweden. A week after the international game, the KHL will mark the anniversary of Russia’s first hockey game with a return to the Petersburg Stadium on Dec. 22 for the game between SKA and CSKA. 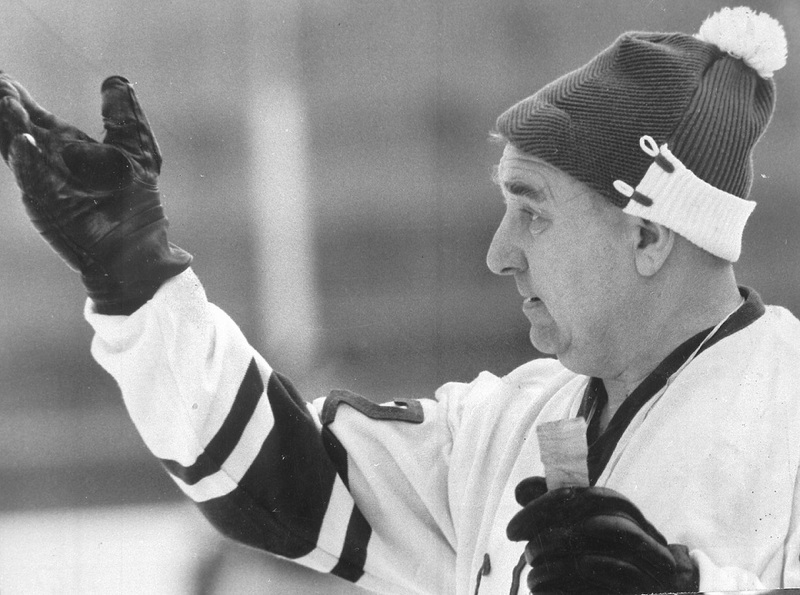 Monday marks the centenary of the birth of Anatoly Tarasov, the first European inducted into the NHL Hall of Fame and arguably the founding father of Soviet hockey. In Russia, Tarasov is best-known and loved for his triumphant creation of the all-powerful Team USSR. He won 19 Soviet championships with CSKA, the club he effectively founded after World War II, and three Olympic golds as coach or assistant for team USSR. In the rest of the world, his legacy was secured by his writing on hockey, which explained some of the techniques that catapulted the Soviets from hockey rookies in 1946 to Olympic champions with in a decade. To mark the centenary, a monument to Tarasov, who died in 1995, will be unveiled in Moscow outside the CSKA arena on Leningradsky Prospekt. David Booth has been tempted back to the sport by Dinamo Minsk. The American forward Tweeted that he was ‘done with hockey’ after leaving the Red Wings last season but he returned to the KHL to help the struggling Belarusians. Previously, the former Panthers and Canucks winger had played for Admiral and Avangard in the KHL. Tomi Karhunen is also back in the KHL. He was part of Kunlun’s inaugural roster two seasons ago and is back with Red Star. The move reunites the Finn with Jussi Tapola, who coached him to the Liiga title with Tappara. Karhunen’s arrival sees Barry Brust leave the club after just nine games. Blackhawks prospect Artur Kayumov, 20, made headlines for all the wrong reasons when the red mist descended in Lokomotiv’s game against Jokerit. The youngster compounded his head hit on Jesper Jensen by punching a referee in the subsequent scuffle. Escorted off the ice by another official, Kayumov also attempted to rev up the crowd in the third period of Loko’s 0-3 loss to its Western Conference rival. The ban comprises four games for the hit, an eight-game punishment for assaulting an official and a further one-game tariff triggered by his 5+20 in the Jokerit game.